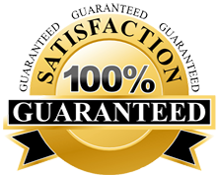 Should I rely on a professional garage door installer in Plainfield? A garage door is a moving object and therefore, it cannot be just purchased and placed for use as you’d do for other components in your home. It comprises of a number of small and large components making its installation a very technical job that demands professional expertise. Why garage door installation in Plainfield is best left to professionals? Connecting of the springs of the garage door can be specifically hazardous and proper installation is critical to its overall performance. Therefore it is always suggested that installation of a garage door is not a do-it-yourself job. Moreover, installations by the homeowners might take up to several days, causing much annoyance and despair. Professional installers, on the other hand, are the experts who are well trained to carry out such tasks. They are well equipped with all safety requirements and are prepared to effectively deal with all types of repairs without facing any potential threat. You can also jeopardize the safety of your family members if garage door springs Plainfield or other components are not placed or aligned correctly. This is especially true for small children as it’s hard to keep them away from the garage. Also, the incorrect garage door installations can void certain warranties and as such the assistance of professional installers is strongly recommended to do the job for you. Another benefit of hiring a professional installer is that they can provide easy disposal of your old garage door, in case you are installing a new one. How to find a good garage door installer in Plainfield, NJ? You can call (201) 628-0104 and one of ASAP Garage Door Repair & Installation professionals servicing the Plainfield area will be at your service. Same day inspections can also be arranged should the need arise. This entry was posted in Plainfield on July 24, 2013 by admin.